Breaking into eCommerce is an exciting direction for your business, but it may be a bit much to handle by yourself. Mercifully, you do not have to go it alone if you team up with a web design company. You can find many different teams all over the country, and 3dcart has created a list that features some of the best. Here are the top United States web design companies that can help you create and run your very own online store. Sigma Solve, Inc consists of a team of dedicated Software Integrators. 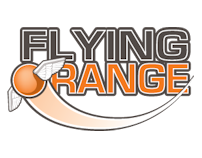 Flying Orange offers custom logo, graphic and website design for 3dCart customers. Our goal is to act as your front-end web development team to take your unique vision and make it a reality. We offer great communication throughout the project cycle and ensure that our clients are confident with the end result. 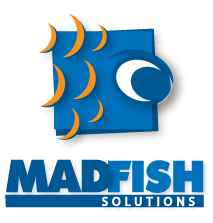 MadFish solutions was founded to do one thing. To help companies like yours grow. We do that through a proven system of consulting, site design, conversion optimization and search engine optimization. Webinopoly Houston-based web development company, founded in 2012 with the intention of merging beautiful design with intuitive functionality for small to medium-sized businesses across all sectors. Full branding design and development, product photography services, and ongoing website maintenance services. Response Logic builds and designs websites with marketing and sales in mind. Our company creates beautiful and unique boutique style website designs for 3dcart users. We also offer a huge line of premade templates that give you an even more affordable way to get a custom design for your website. 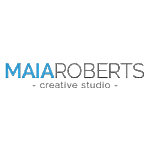 Maia Roberts Creative Studio is a full service web design and development agency based in Chicago, IL specializing in custom 3dCart design and maintenance. We are a full service ecommerce web design agency specialized in 3d cart and various other ecommerce platforms. To get a better idea of what a design company would do with your website, you should look over some of their previous work. Most, if not all web designers have portfolios containing some samples, or links to websites they helped program. Look over them so you can see how they might handle your own site. Note that web design encompasses many things, including both how a website looks and how using it feels. Pay attention to all the details. Maybe you have already looked at some samples and like what you see. However, what you see may not be the full story. Nice visuals and navigation do not tell you if the designers matched the goals of their client, or if the site is as optimized in all areas as it should be. For a deeper dive, you may want to research the company on independent sites where past and present customers can leave reviews. Pay attention to their stories — they reflect the experience you may have if you partner with that company. If you intend to run a small business, your needs may be extremely different than if you plan to operate a large one. Web design companies should understand that, and you should find one whose approach suits the size of your project. Plenty of them specialize in either small or large businesses, but many others are flexible enough that they can handle both. You may want to focus on these latter companies if you are starting small but plan to grow. No two businesses are alike. Your needs may differ greatly from one competitor, and their needs may also differ greatly from another mutual competitor. Design companies must be flexible above all else, and they must learn how to approach your business before getting started. Consultations are the norm for new partnerships for these reasons. The team you hire should never rush into the project without first asking you extensive questions, taking detailed notes of your requirements, and presenting you with a solid proposal. Designers consider a number of factors when brainstorming how your website should look and function. Search engine optimization, or SEO, should be among them. This refers to a variety of methods they can incorporate into the site’s design so its pages can rank higher on search engine results. SEO is important for any website that wants organic traffic from this source, which can be massive if done right. More traffic means more customers means more sales, so make sure your design team takes care of this. Web design is not always about creating a site from scratch. You may already have one that you created yourself with a site building platform that could use a more expertly touch. Alternatively, you may have one actually created by a web design company that does not meet your standards, or fails to attract customers for reasons unknown to you. You can certainly find design teams that can assist you in redesigning an older website so that it reaches its full potential. 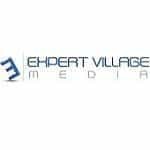 There are so many United States web design companies out there that can meet your needs and create the perfect site for your business. In addition to the list above, we even have lists for the best design companies in specific American cities. For more excellent options, you can see our recommendations for New York web design teams here.